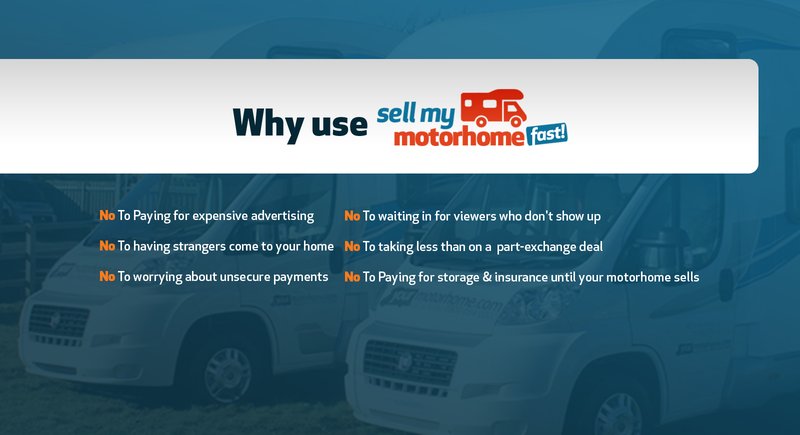 Selling your motorhome is free and simple with Sell my motorhome fast! 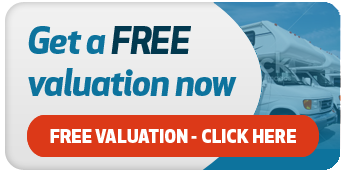 We're always looking to buy good-quality used motor homes and caravans. In fact, that’s what we’ve specialised in exclusively for more than 15 years. We offer a quick, reliable service, as well as a fair price for any make or model of motorhome or caravan. This includes hi-tops, coach-built, caravans with elevating roofs, twin axle class-As and all makes and models of motorhomes. 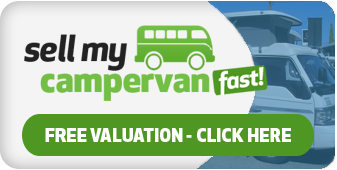 Whatever motorhome, caravan or camper van you have parked in your own driveway, we guarantee you a fair price for it. 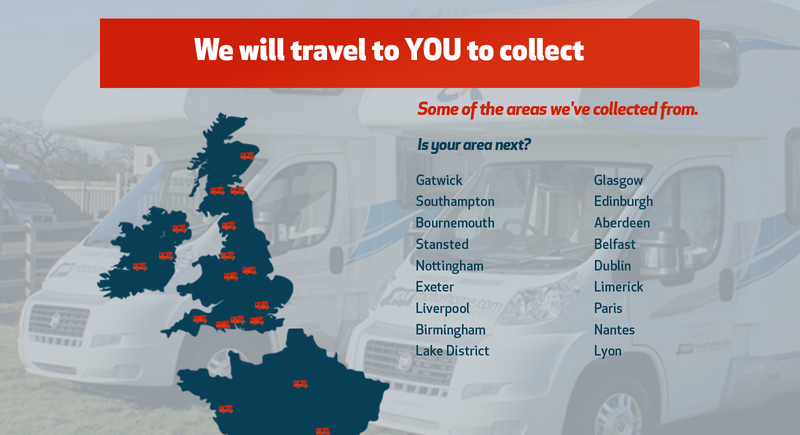 We'll even buy your left-hand drive motorhome – and travel to anywhere in the UK or Western Europe to collect it! Top that for a first class selling experience. You know, and we know, that there's no standard 'book' price for motorhomes or caravans. The right price depends on the condition of your caravan or camper, its accessories, and your mileage. We take all that into account, including all the added extras that make your motorhome or caravan unique. 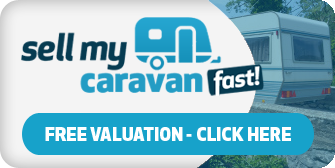 Get a fair valuation for all your well-kept extras, the things that have proved invaluable to you on the road: everything from a thermal windscreen blanket to a barbecue, a wheel lock to a wind break; from a hitchlock to a pile driver for your tent awnings. In good condition all these extras can and will influence the individual valuation we can give you. Simply enter your registration number in the box on the right, provide a few other bits of important information, and we’ll send you a cash offer within just a few minutes. You’ve nothing to lose. 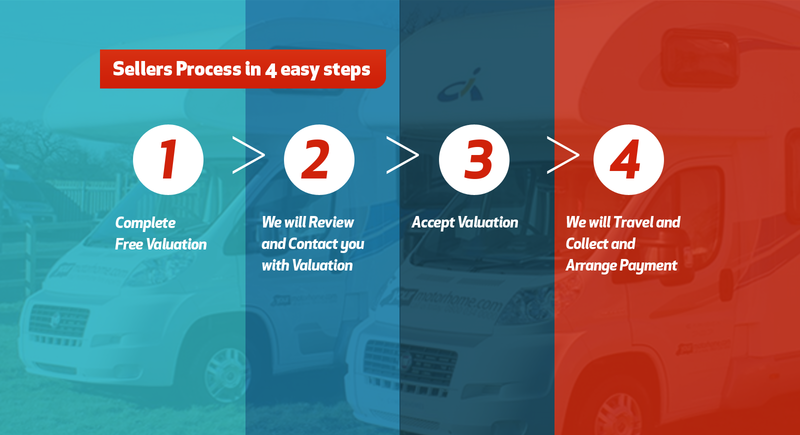 Give us a call now on 01764 663341 or request a call back by completing the form below. Remember, we buy any make, model or age of caravan or motorhome. We will come to you and collect your motor home wherever you are in the UK Ireland or Western Europe. We'll make you a fair offer with guaranteed payment. All our offers are completely without obligation and valid for 7 days. 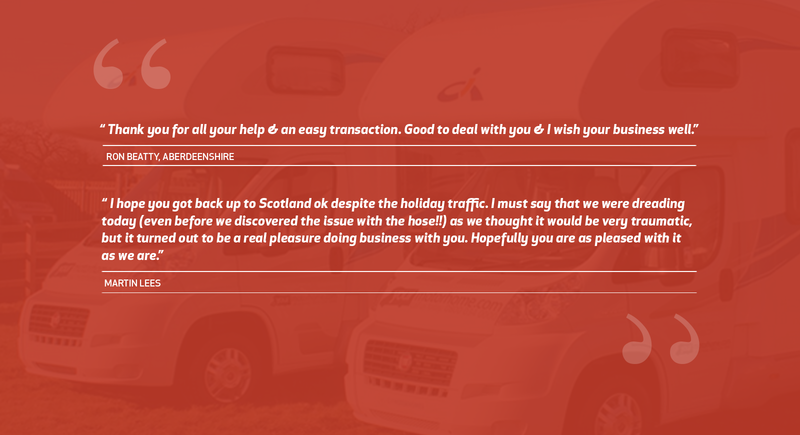 Our friendly and professional sales team will take all the stress and worry out of selling your motorhome. Enter your registration number now and within 20 minutes or so, we will call or email you with a cash offer. 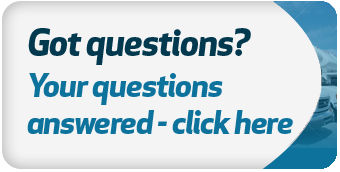 Call us today on 01764 663341 or fill in the box on the right to Sell my motorhome fast!